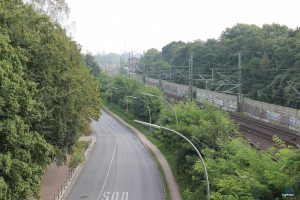 The route between Hamburg and Bad Oldesloe is one of the most frequented commuter routes around the Hansestadt Hamburg. 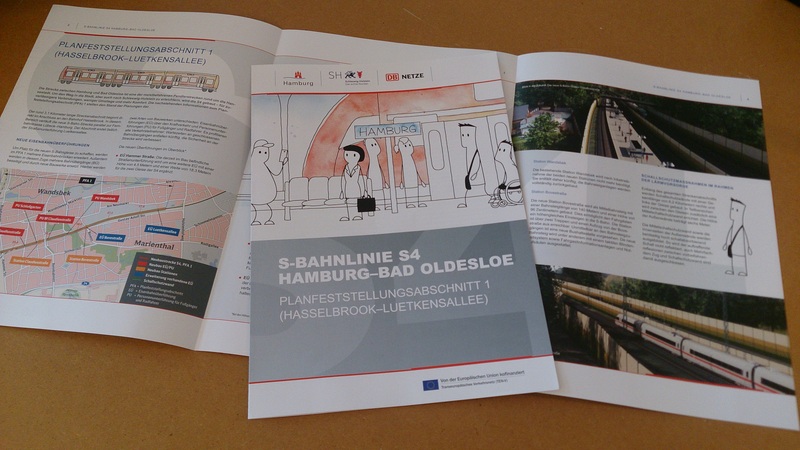 To facilitate the journey to the city, but also to Schleswig-Holstein, the new S-Bahn line S4 is built by DB Netz. 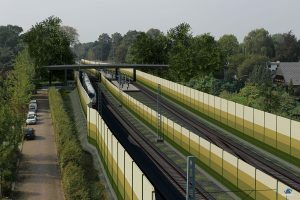 For the first part of the planning stage, AnyMotion was commissioned to create georeferenced visualizations for the stations Claudiusstraße and Bovestraße, which display the current planning level perspectively correct. 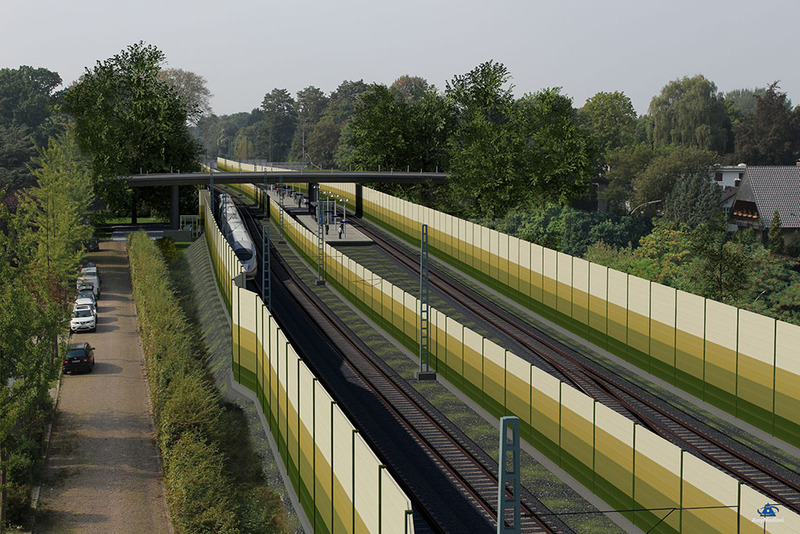 For the new stop Claudiusstraße the DB wanted to emphasize the advantages of the conversion measures. 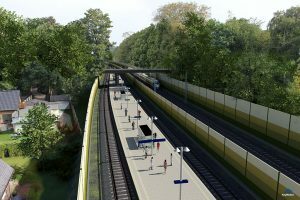 Thus, the new S-Bahn station will be built as a central platform with a platform length of 210 meters and a height of 96 centimeters. This allows the passengers to board the S-Bahn at the same level. 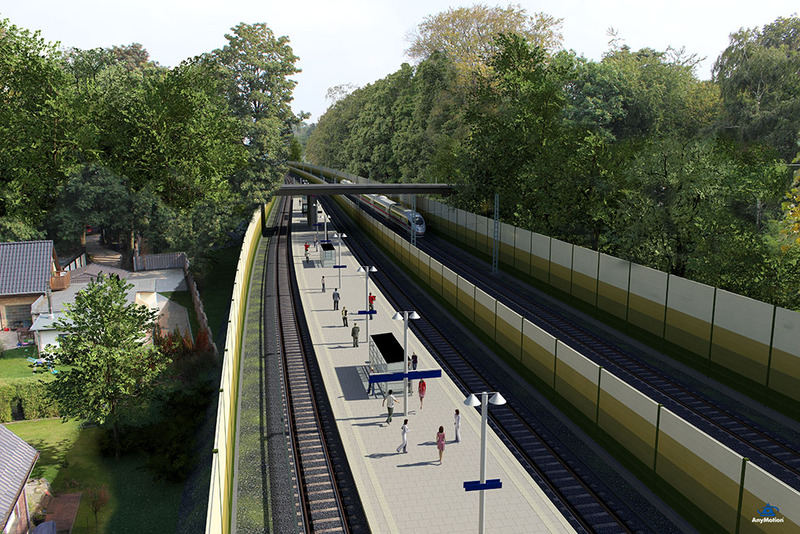 In addition, the station is accessible via a barrier-free elevator, which has also been shown in the visualization. 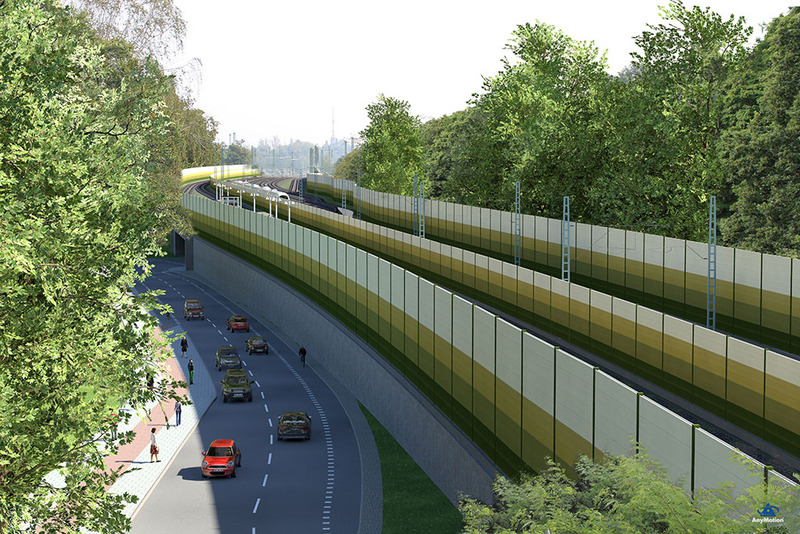 The presentation of the planned noise protection measures has also been included by AnyMotion in the visualization. 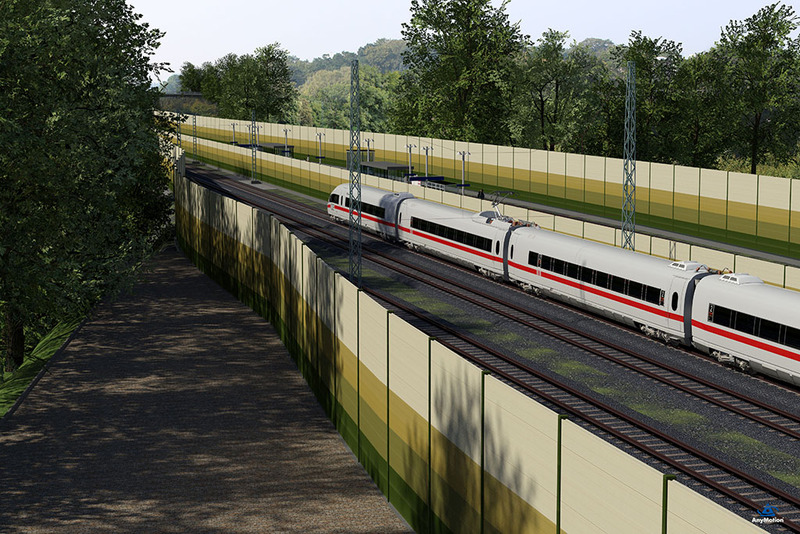 Soundproofing walls with a total length of 6.2 kilometers are built along the entire section of the track to the right and left of the tracks. The height of the outer walls is six meters. Based on the realistic representation of the light and shadow conditions within the 3D scene, the viewer is made aware of how the noise protection measures work and how they integrate into the environment. For the visualizations, a photographic survey was taken in order to incorporate these the planning results into a photorealistic 3D model. The viewer is, therefore, able to estimate the effects of planning on nature and landscape in a realistic manner. 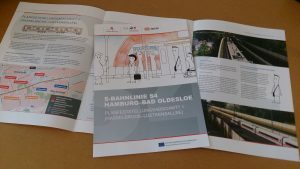 The graphics generated in this way become part of the plan approval procedure and have been published in an information flyer of DB Netze.